Happy Friday Friends. I hope you are having a great morning! 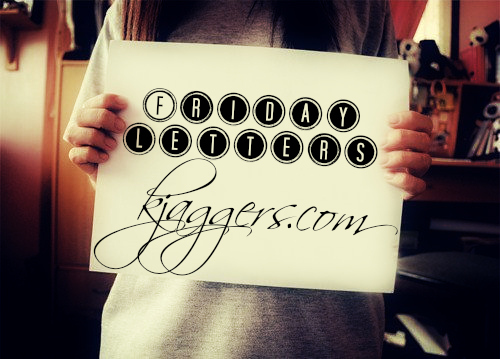 Time for another Friday Letters with Ashley over at The Sweet Season Blog! Dear Scott, I loved having you home with me yesterday and I already miss you today. I love how dedicated you are to your work but I wish you were home more. I can't wait for the day when we are both old, retired, and sitting in the rocking chairs on the front porch. Dear Shanna, I would be so lost without our late night conversations. You know I love you.. and you are a great friend. Dear Brittany, I am working on getting your facebook back but you better not mess up again. I miss you and we don't have long now princess. Summer is coming! Dear Jackson, You have been driving me crazy with all the questions lately! I think you are so sweet and you make me laugh a 1000 times a day but could you stop asking your mommy so many questions in one day!? Dear Cracken, Did you seriously think I was going to allow you to follow this blog with GFC? Yea right. Start playing nice and I will be more than happy to add you. But in the meantime you are just going to have to follow another way. Unless you want to seriously talk.. I don't care what criticism you have for me... I don't loose sleep over you or any of your crazy opinions. Again . until you are ready to have that serious conversation.. leave things alone. Don't you think your time would be more productive if you focused on your own family!? I pray for you every night. Dear Spring, You are feeling like summer but I am not complaining! The nicer days are so nice.. Just last night we ate dinner outside... LOVE IT! Dear Mom, I wish we were closer to each other. I hate you living so far away!!!! I love and miss you and can't wait till we can hopefully see each other over the summer! Dear Jaguar, You know.. I still haven't got you washed.. but the good thing is.. You look good even when you are dirty so it doesn't really matter! Dear E. Martin, You have better luck than anyone I know. Stay out of trouble this time. Dear Trina, Thanks for all your help. We love you very much and I appreciate everything you have done. Love you bunches! Dear Hair, I hate you.. either grow out faster or I am going to chop you off again! Dear Alyce, You about knocked me out of my socks the other night. I have missed you. We have so much to catch up on! Dear April, You didn't start out so good.. but I am thankful that things are looking better. I can't say that I am not some what nervous about the rest of the month or even May but I think my problems are small compared to many others such as the victims in Boston. I am blessed even on bad days. Dear Shannon, You are a piece of work.. I am trying to not judge you but damn. Will the drama ever end? Dear Terrorist, They will find you and kill you.. Why do this to us? This country gives the opportunity to better yourself .. and then you blow us up. I think when your time is over on this planet.....you will see that God/Allah never wanted this for you. 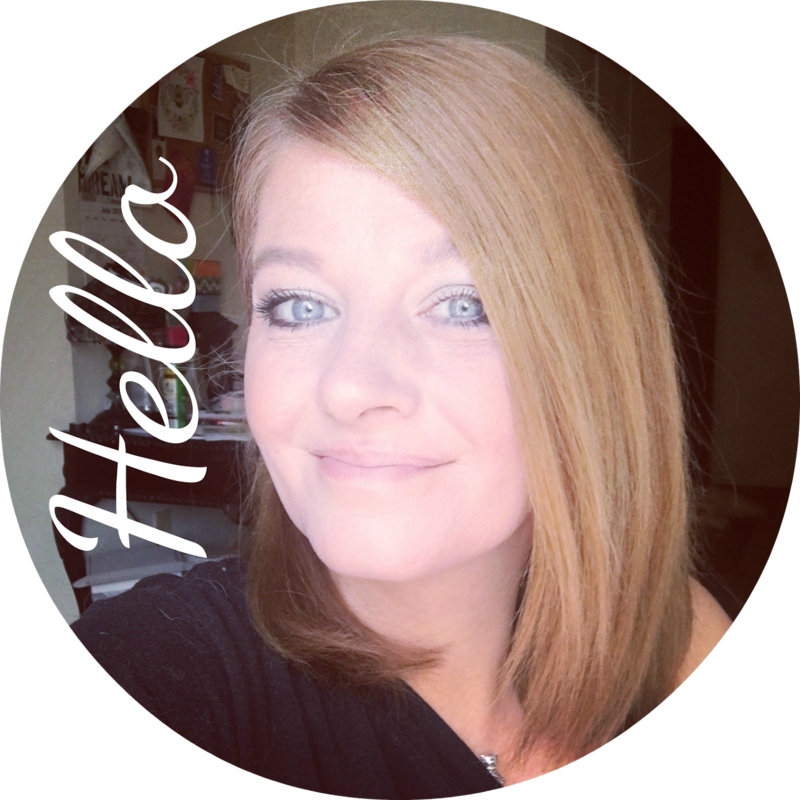 Dear Bloggy Friends, I am so thankful for all your sweet comments and emails. I am touched everyday by you guys..You share our lives.. and its not just about us.. its about your blogs.. post.. and pictures. I love getting to know each one of you better! Thanks for stopping by!